Internet revolutionized the way information is made available. Web services complement this by allowing data exchange between applications in a platform independent manner. Several different types of the API Services are present including Web Services, REST Services and Micro Services. It makes it more challenging for regular testers to understand the underlying architecture, security, scalability and data transfer across protocols. ITAS hides all the complexity from the testing team by providing simple user interface for creating and executing automation test cases. It also supports interoperability, performance testing and security testing out of the box. Most of the work is done by one time easy configurations in the automation engine. The art of transforming an idea into a product faster than anyone else is an essential skill for disruptive business. Key ways to stay ahead requires focus, agility, motivation and efficiency. 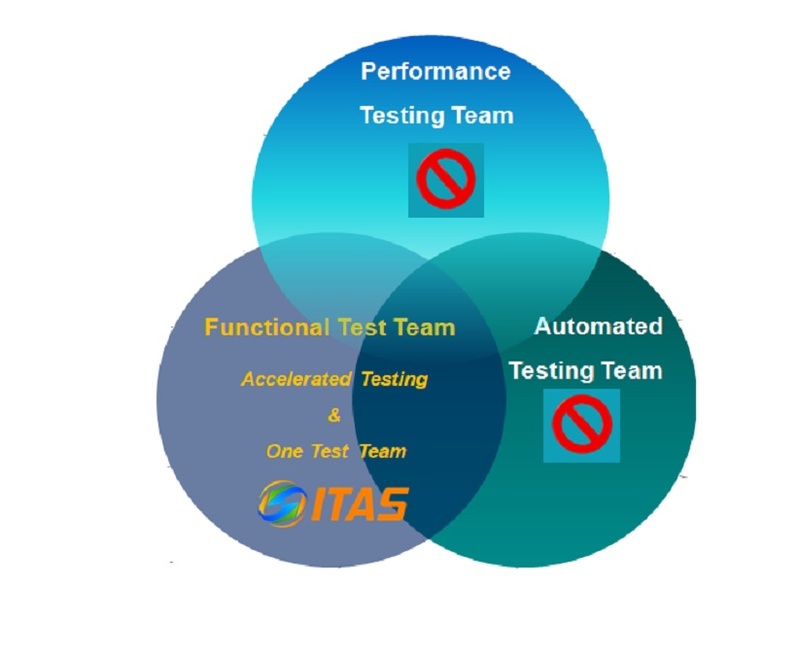 ITAS provides this unique capability to allow teams to build and test products on the daily basis. This acceleration in the process gives the competitive edge for speed to market and stay ahead of the curve. Executing test cases 24x7 in an automated way without requiring new skills and resources is the key benefit for using ITAS. Testing teams should have the focus on creating business scenarios and end to end integration architecture. All the manual work can easily be moved into ITAS Bots which allows to run functional and regression test batches. These test suites can be executed using standard scheduling processes requiring zero manual touch. Since everything is tracked within the ITAS database, you can do the auditing release after release with screenshots and all the day currently used. One of the key advantages for utilizing ITAS is to do the load and performance testing using functional test cases. No additional effort is required for scripting. Several thousand users can be simulated with few minutes configuration. Also, it has native connectors to monitor the server performance metrics including CPU, memory, etc. usage. Real-time charts and graphs add another level of maturity to this process. Any complex business scenario can be used for performance testing execution in less than a day including all the efforts. 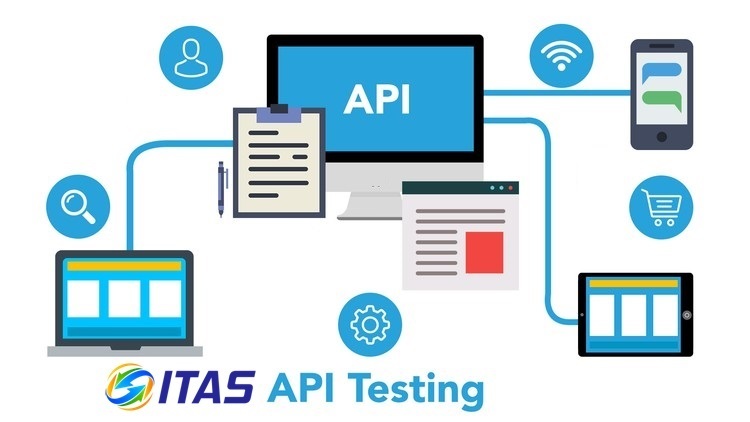 ITAS has exclusive way to test SOAP, REST, Micro Services and standard API layer testing without learning any programming skills. All the complexity is hidden from the testing team. Also, integration to industry standard tools like Swagger, Google Apigee, Amazon AWS are fully supported and pre-configured in the standard offerings. Whether you are using advanced security with oauth or special tokens for communication, ITAS recognize and provide flexibility to connect to these famous tools for end to end integration testing. Building a proper workflow of test cases across platforms is one of the critical desired component in test automation. Using ITAS chain component, any technology platform can linked in a cohesive way to configure and a series of test cases in one task. You can easily pass data across test cases and can create dependencies. These test cases can be executed in parallel and sequential mode on demand. This state of the art workflow concept allows you to simulate production scenarios in testing environments helping discover critical defects across platforms integration. A business rules engine can also be easily tested through this process. During the test cycles, users may be want to test large sets of data sets with different permutations and combinations. In ITAS, users can create templates and correlates to any data repository to run large sets of data scenarios. It really provides flexibility and agility to testing team to test more scenarios without spending additional time. All test execution information is stored in the system for auditing purposes with screenshots, movie files and corresponding data sets. We do it all for you! Fusion has significant experience in developing and supporting large scale distributed technology environments. Whether it be legacy applications maintenance practice, focused on IBM mainframe applications, or latest technologies such as applications/portals built in .NET/Java along with middle tier (n-tier) application architecture. Our team is always looking for opportunities to build automation wherever possible, build monitoring and data visualization dashboard solutions. Configure end point web service URL and you are ready to create test cases and add validations. It is that easy. It’s simple interface for test creation, execution, and maintenance requires no special skills. It is zero coding and one interface for SOAP, Restful and Microservices. With a click of a button simulate load of thousands of users on-demand.